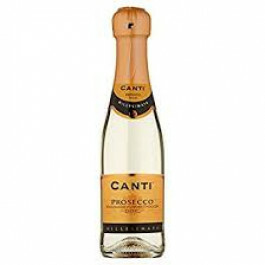 Canti Prosecco DOC 20cl is dry and pleasantly fruity. It is Ideal as an aperitif and during the whole meal. Canti mini prosecco DOC 20cl is now in stock. Canti Prosecco DOC 20cl is dry and pleasantly fruity. It is Ideal as an aperitif and during the whole meal. Canti mini prosecco DOC 20cl is now in stock.